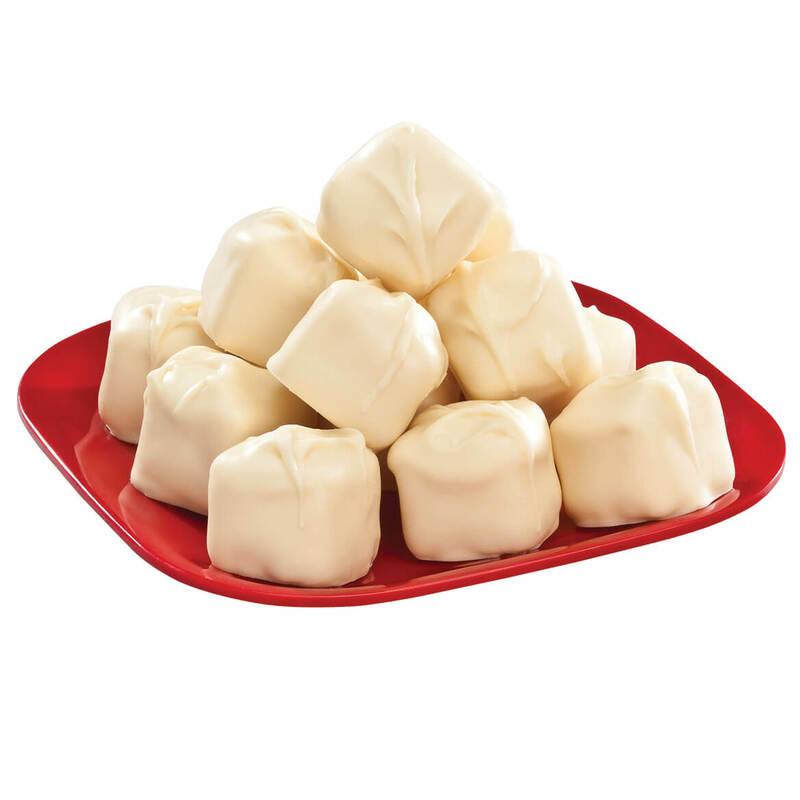 Decadently rich and beautifully handcrafted, these white coconut bonbons boast sweet, chewy coconut centers, dipped in fine, creamy white chocolate. The smooth, velvety exteriors can’t contain the fresh coconut aroma, and one bite unleashes that soft, glorious sweetness of moist, fluffy coconut candy … treating you to a long, luxurious chew. The ultimate gift for coconut fans, these coconut bon bons are elegant on any dessert platter, and sure to disappear first! 9 oz. Moist, rich and simply decadent … this fruit cake trio gift box is a sweet sampling of gourmet goodness you’ll be proud to give or serve. Each kosher certified holiday fruit cake is lovingly handcrafted with rich butter batter, no alcohol, and only the finest combination of fruits and nuts—all precisely measured, mixed, hand decorated and individually baked for incredible moistness and full flavor. 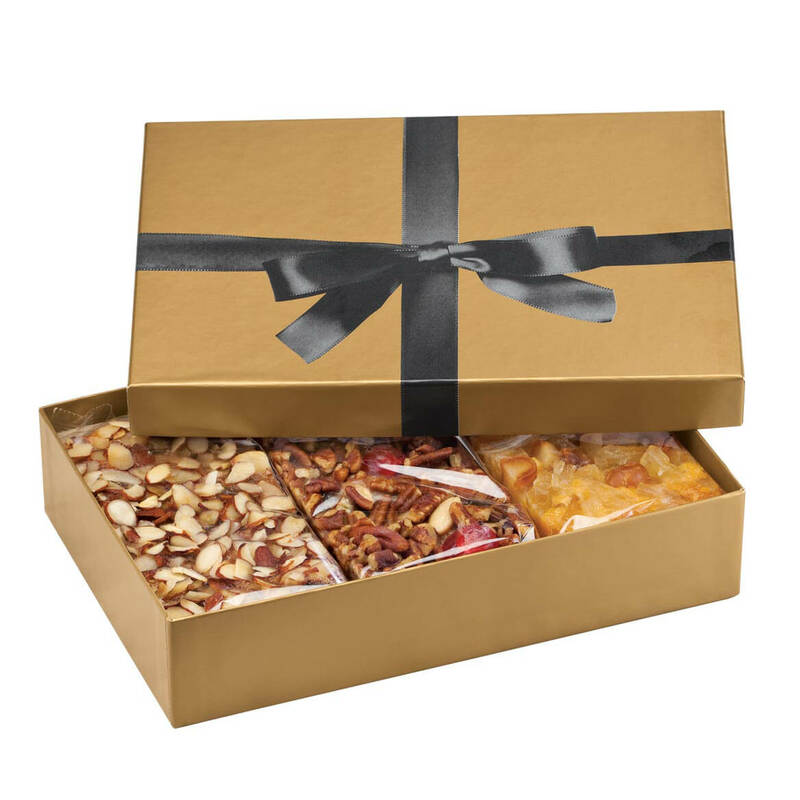 Boasting the sentiment of old-world goodness, this gourmet trio includes Pineapple Macadamia Nut cake, Ye Olde English Fruit and Nut Cake and Amaretto Fruitcake—lovingly packaged in a beautiful gold box with bowed ribbon. Each 1-lb. bar serves 5-8. Made with pure maple syrup and more than 35% pure Wisconsin farmer butter, these pure butter maple syrup shortbread cookies are sweet dreams come true! Created with a unique mixing process for a light, luscious, melt-in-your-mouth texture, the maple syrup cookies owe their delicious goodness to an old family recipe first baked in Blyburough England in 1629. 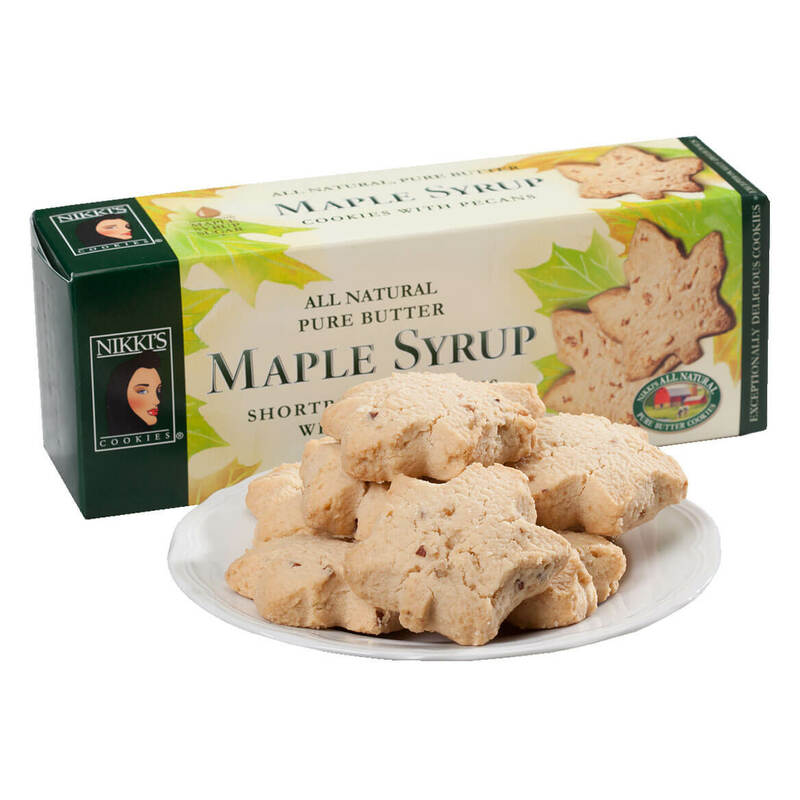 Shaped like fancy maple leaves, the rich, all-natural cookies boast more butter than any other on the market … yet are naturally low in sugar, sodium and carbs. Offering sweet bliss in every crunchy bite, they’re kosher, GMO-free, free of trans fats and made with rBST-free butter. Perfect for giving or serving, the 6.25-oz. box includes 10 butter shortbread cookies. Referred to as “The World’s Best Gingerbread” by cookie lovers, this gingerbread family box of Christmas cookies is made with over 35% pure, farm-fresh Wisconsin butter—and you’ll taste the goodness in every luscious bite! 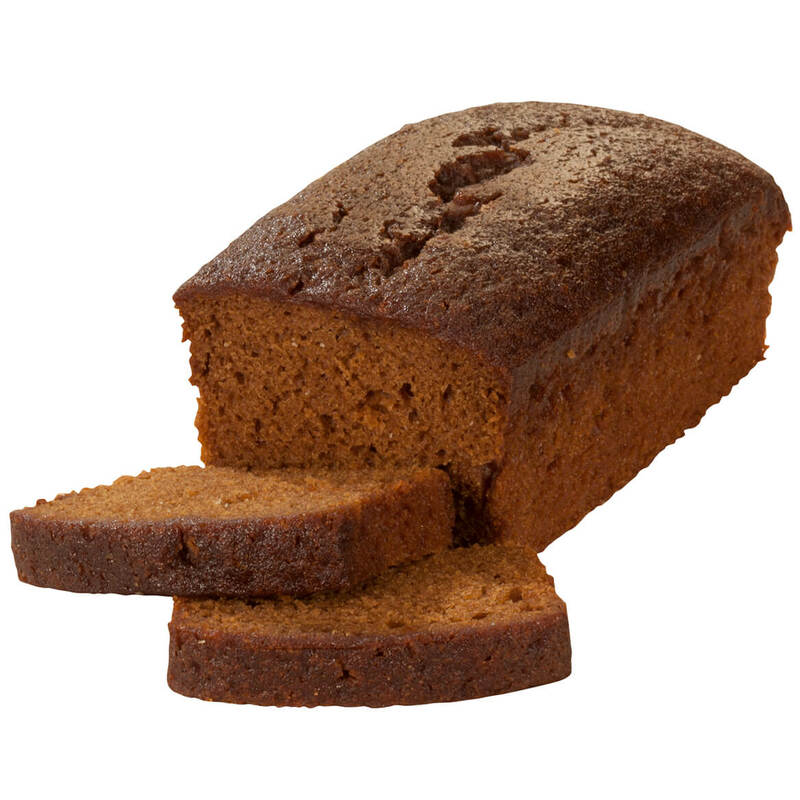 That wholesome, hormone-free butter adds rich goodness to the perfect blend of spicy gingerbread and creamy white confection, proving why this generations-old recipe is still the best. Perfect for holiday giving and serving, the authentic gingerbread cookies are not only delicious, they’re kosher, all natural, GMO-free, free of trans fats and made with only rBST-free butter. 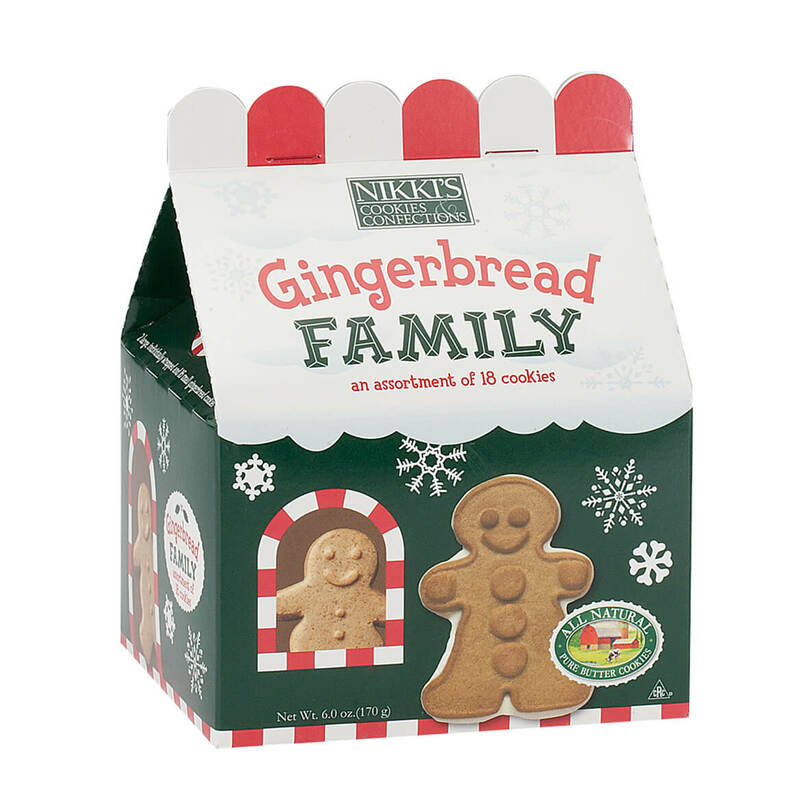 Nestled in a decorative gingerbread cottage, the 6-oz “family” includes 2 large, individually wrapped cookies and 16 small cookies wrapped together. Treating you to fresh lemon flavor and more than 35% pure Wisconsin farmer butter, these pure butter Meyer lemon shortbread cookies are made with a unique mixing process—resulting in a light, luscious texture that melts in your mouth like magic. 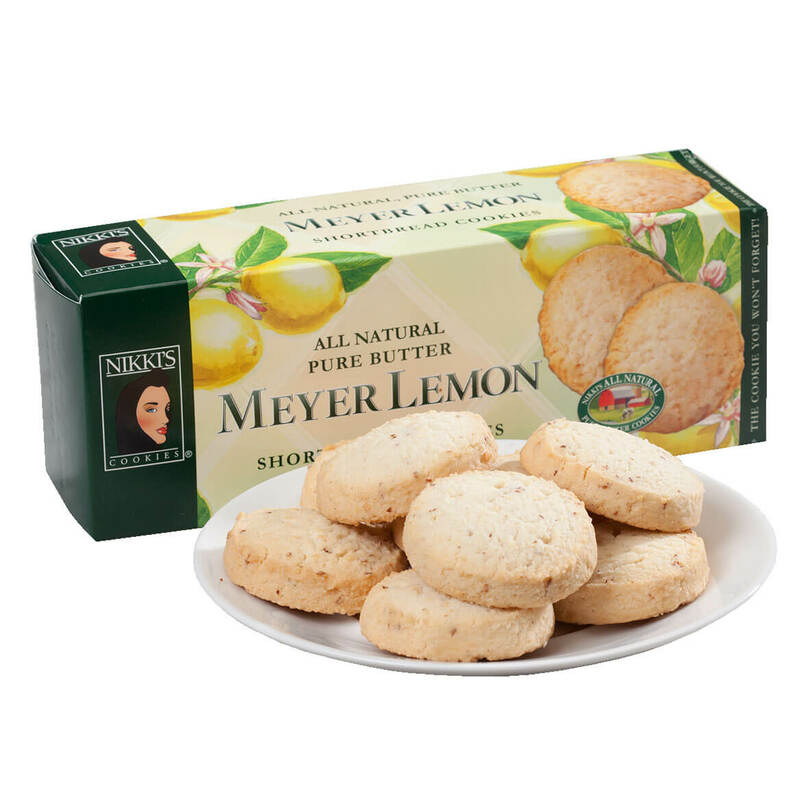 Using an old family recipe first baked in Blyburough England in 1629, the rich, all-natural lemon cookies boast more butter than any other on the market … yet they’re naturally low in sugar, sodium and carbs. Offering pure goodness in every crunchy bite, they’re kosher, GMO-free, free of trans fats and made with rBST-free butter. Perfect for giving or serving, the 6.25-oz. box includes 10 butter shortbread cookies. Treating you to a wee bit of Irish magic, this brandy-infused Irish Crème Dessert Cake is irresistibly indulgent … perfect for the holidays, St. Patrick’s Day or any day. Only the finest liqueur goes into its rich gourmet batter, along with premium ingredients for velvety goodness you’ll be proud to give or serve. And rest assured, the traditional spirits in this decadent holiday cake are cooked off—making all that rich flavor alcohol-free. For a special treat, add a dollop of freshly whipped cream and enjoy! The 14-oz. bar cake serves 8 to 10. 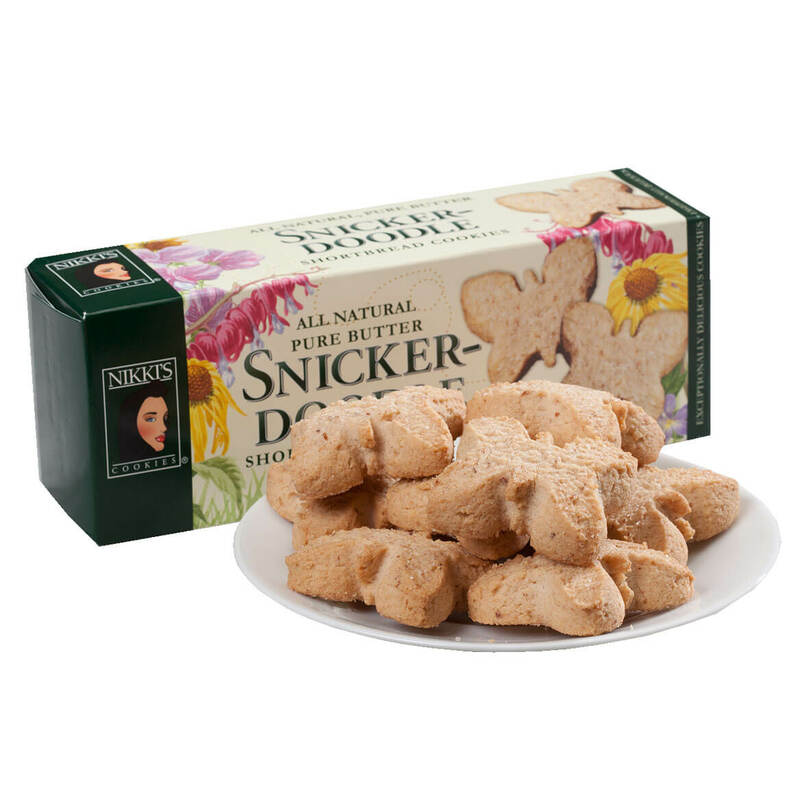 Boasting premium cinnamon and more than 35% pure Wisconsin farmer butter, these snicker-doodle shortbreads treat your tastebuds to sweet, homemade goodness! Made with a unique mixing process for a light, luscious, melt-in-your-mouth texture, they owe their gourmet goodness to an old family recipe first baked in Blyburough England in 1629. Crisp, kitchen-fresh and simply yummy, the all-natural cookies boast more butter than any other on the market … yet are naturally low in sugar, sodium and carbs. 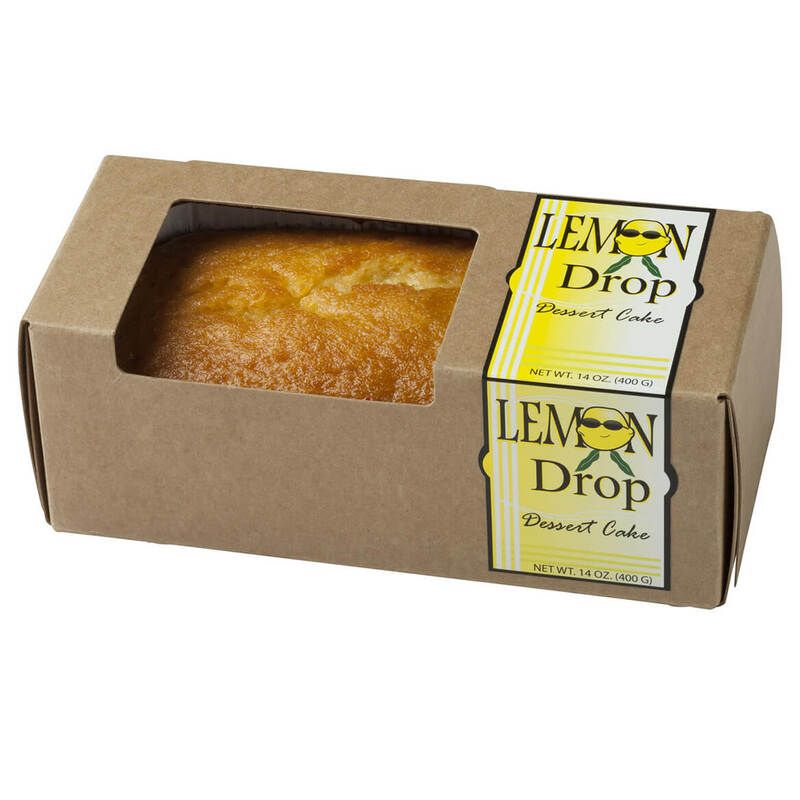 Offering sweet bliss in every satisfying bite, they’re kosher, GMO-free, free of trans fats and made with rBST-free butter. Perfect for giving or serving, the 6.25-oz. box includes 10 cookies. Light, luscious and refreshing … these handmade confections will literally melt in your mouth. 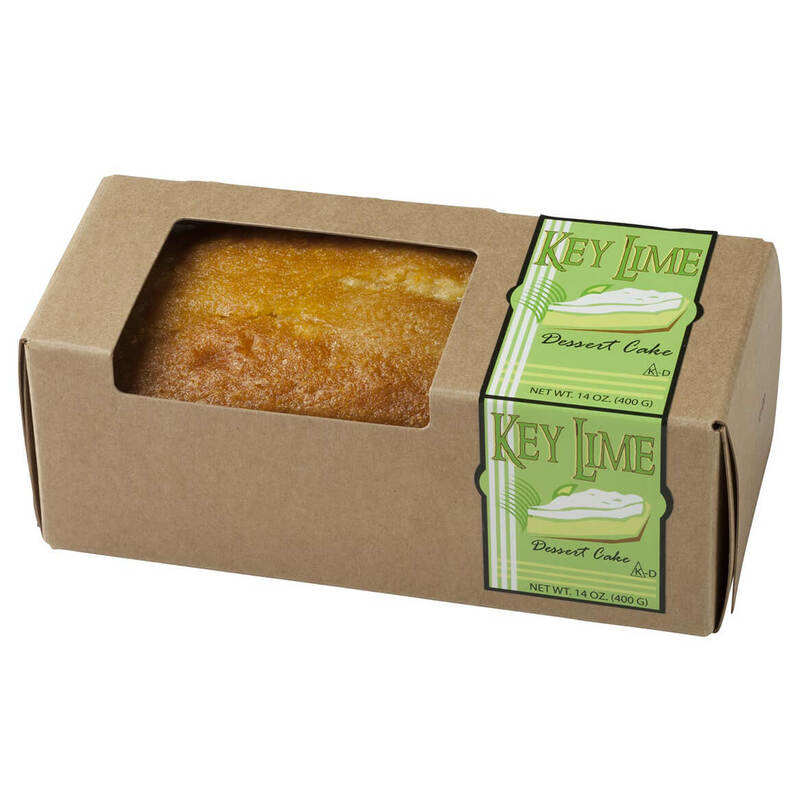 Only the finest liqueur goes into the batter, and only fresh citrus flavor remains after baking. Moist and delicious on their own, they’re wonderful topped with fresh fruit and whipped cream, or chilled and cubed for chocolate fondue! 14 oz. These peanut butter shortbread cookies are topped with rich holiday chocolates that look like Rudolph’s red nose! 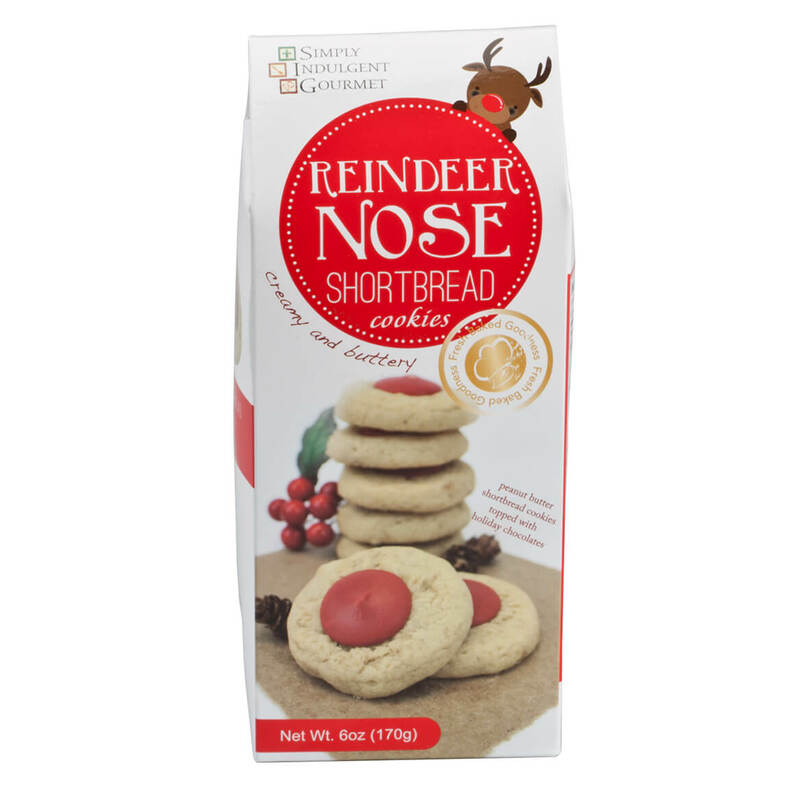 Simply Indulgent Gourmet bakes these nutty Reindeer Nose Cookies with family-inspired recipes using only fresh, premium ingredients like the ones in your own kitchen. Fun for holiday serving or snacking, these Christmas cookies are delightfully packaged for giving …YUMMY with a glass of cold milk, and a sweet surprise for Santa on Christmas Eve. 6 oz.